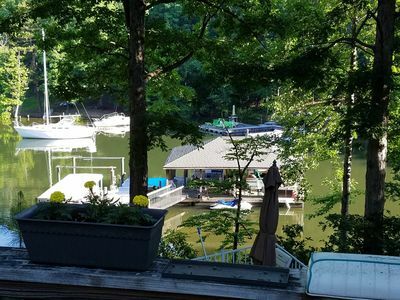 Park Place (VRBO listing 418081) sleeps 20. 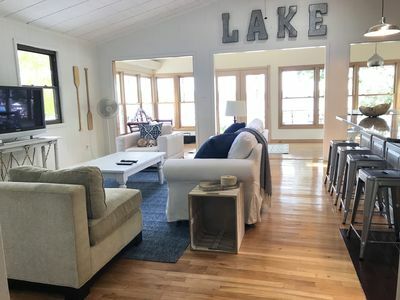 BoardWalk (VRBO listing 641693) sleeps 12 . 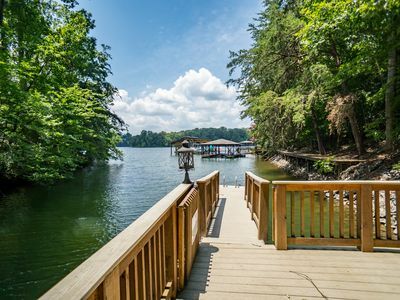 These lake-front homes are 90 feet apart and are inholdings of Lake Norman State Park. THESE HOMES CAN ALSO BE RENTED SEPARATELY. USE THE LISTINGS NUMBERS 642693 AND 418081 TO BOOK THEM. 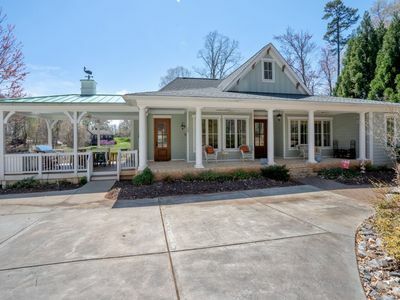 Of the 2 million homes listed on VRBO and HomeAway these are probably the only two which are inside a park. How is that for unique and exquisite. Be sure and check out each homes' videos! 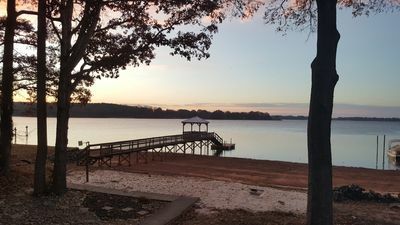 The end of BoardWalk's (136 Supreme Court) shows the 2000 acre wooded Lake Norman State Park which surrounds the homes. 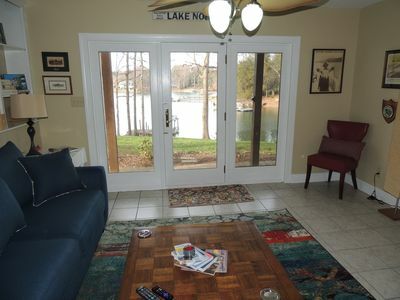 To the left of the home the video shows part of the parks' 13 mile of shoreline. 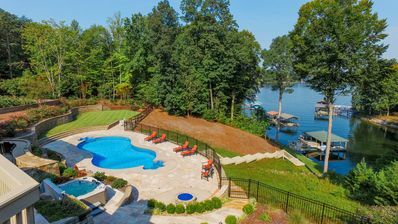 These are TWO lake front homes that are 90 feet apart and the only ones for rent inside the 2000 acre Lake Norman State Park. 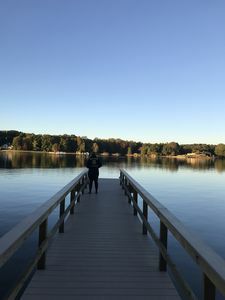 Not only do you get great lodging but you will have all the amenities of the state park as well: free boat launch, largest of the 2 public beaches on the lake, 5 mile of hiking and 30 miles of mountain biking trails, community building. All these facilities are less than a mile for your homes. 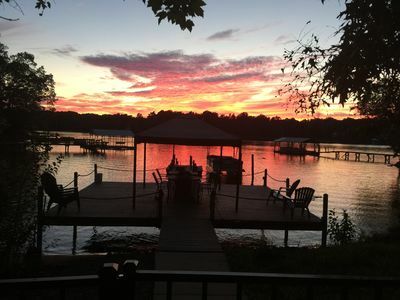 NO OTHER VACATION RENTAL HOMES CAN OFFER YOU THIS! 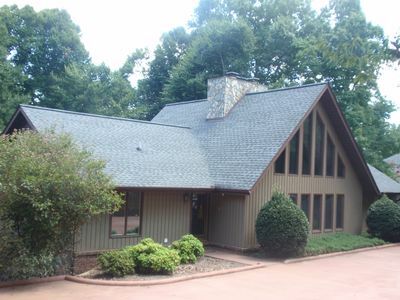 The 4500 square foot larger home sleeps 20 and has four private suites. 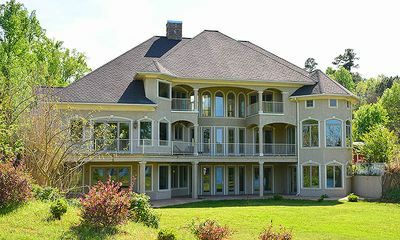 There are 5 bedrooms and 6 1/2 bathrooms. There is a movie theater with Direct TV, Wi-Fi connection with the Chromecast device that is provided, tv, blue ray DVDs, vinyl recordings, x box and Nintendo. 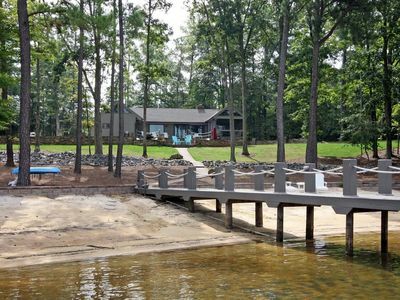 Your private dock is located in your own very private cove right off the main channel. 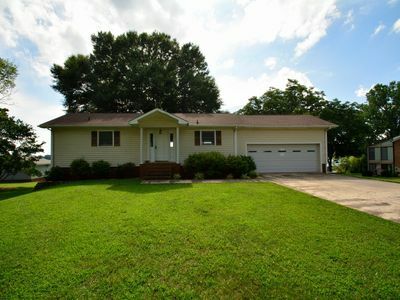 The smaller home has 4 bedrooms and 2 full bathrooms. 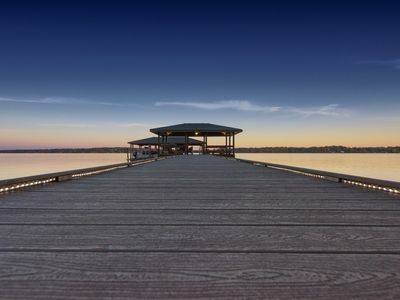 Its private dock is on the lake's main channel as the photos and video will show. 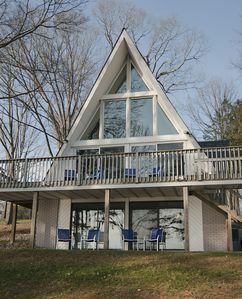 There is a boathouse and a sunfish that comes with this home. Television is through an antenna, which gets 30 some local stations, and through Wi-Fi which can be cast to the television set by using the provided Chromecast device and your phone via a free Google app. 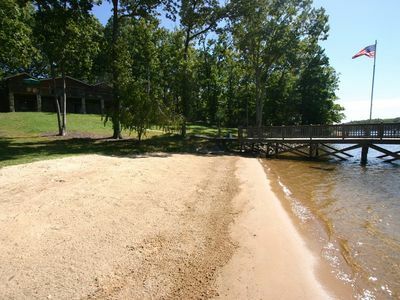 Both homes come with fully stocked kitchens, grills, and 2 kayaks and a canoe comes with each home . Linens and towels, charcoal and propane for the grills, toilet paper and paper towel, cloths washing and dish washing detergent ARE ALL INCLUDED. 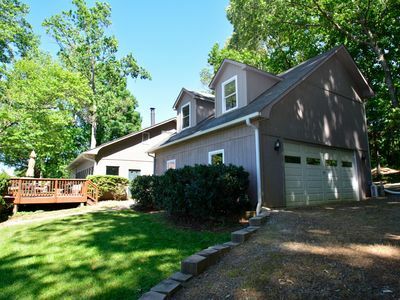 The homes are not child prove but each home does come with a high chair and pack-n-play. 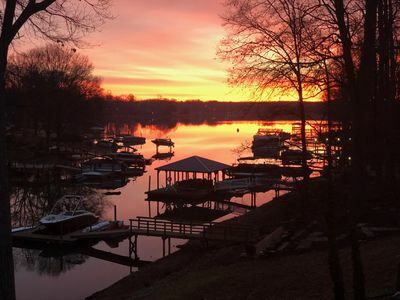 Check out the homes' reviews, videos and Lake Norman State Park website. 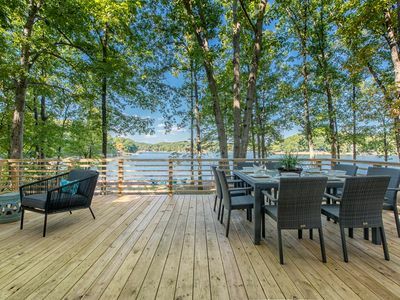 You will see how unique these homes are and how great they will be for your next gathering! 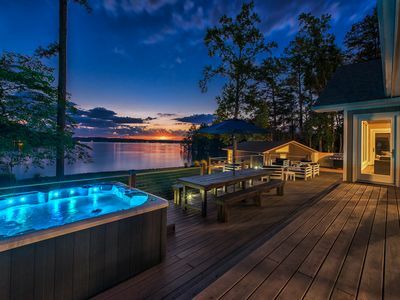 Come relax while sitting in the hot tub looking at the phenomenal water view. 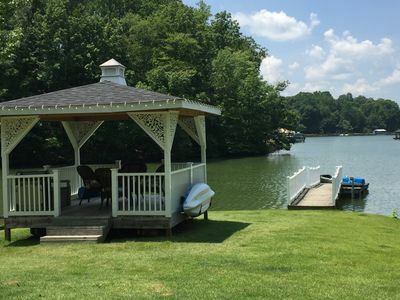 Waterfront Home on lake norman, kayaks, paddle boards & tree swing into lake!! Sandy Beach & Sunset Views. Perfect family vacation!